Care of our Molds – Cleaning. Welcome to The Springerle Baker’s on-line catalog. (This is not an eCommerce site). Listed on these pages are many of the unique molds that we produce. We are currently developing new categories to make viewing the molds easier, so please check back frequently. Any of our molds can be produced in Clear or a Color Tint, but PLEASE note that they will have an extra charge and possibly a longer time before shipping. We also have an Etsy store, but please note that our Etsy shop and this site are separate and any specials on one site do not apply to the other site. The molds in our Etsy store are ready to ship. You can find our Etsy shop through the link here. Visit us on our Facebook page for other interesting molds we are working on. The Springerle Cookie Appreciation Group. 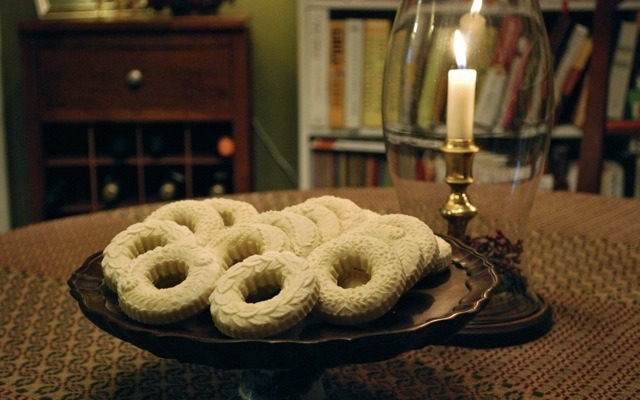 Beautiful Springerle cookie wreaths made by Ray Burnside. Just as it was necessary for me to teach myself about baking Springerle, I found myself learning how to produce copies of antique Springerle, Gingerbread and Spekulatius cookie molds. I looked for a company that could produce copies for me but I was not able to find one that could do what I required. I insisted on food safe resins and other components. The search for qualified folks that could tackle this project for me began. After months of research and correspondences I believe this new partnership will be able to deliver what I was looking for. As a baker, I designed these molds with the baker in mind to be durable and user friendly so they may not appeal to the collector. Although I do suspect the new and different designs will appeal to all that bake Springerle or other molded cookies and want something unique. These molds will not have a stain on them so there will never be anything to flake or wear off onto your dough. *PLEASE note that the color of the molds you order may differ slightly from those pictured. NOTICE: Just something we have to say. Exclusive mold designs sold by The Springerle Baker are copyrighted with all rights reserved; this includes reproductions of antique molds upon which we make certain modifications, alterations or changes. The changes are copyrighted and reproduction of same would constitute copyright infringement. We do not sell molds, nor casts for others to replicate and will enforce our proprietary rights. We reserve the right to decline sales to anyone. It was very expensive for us to obtain the rights to produce copies of the original molds. Selling these reproductions helps us support ourselves and make our living. We ask that you please respect our rights. *Please note that if the mold you are wanting is out of stock, we will do our best to make one for you as soon as possible. If we can not make it when requested, we will give you a date that it should be done. We appreciate your understanding. *Notice* Copies of “Common” Mold Designs. At times we are asked to make copies of molds that look to be “*open” to copy. We will research as best we can the copyright(s) owner(s) of any molds that we will be offering that we do not own the copyrights to. In the event we are copying a mold that should not be copied due to an owner with a copyright, PLEASE notify us about the mold in question and we will pull it immediately from the selling list as soon as copyright ownership is confirmed. By “open”, it is meant that several companies are making and selling the exact same design. A copyright seems not to exist. 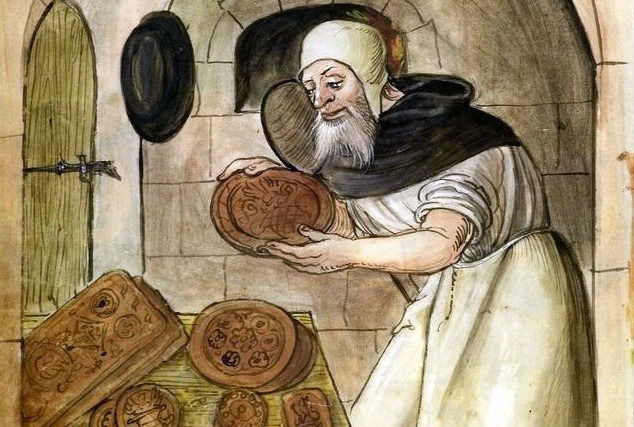 Food History Jottings A blog by a dedicated Food Historian. Beautiful Food Art. Turku Gingerbread. A great blog by Petrus Kurppa of Finland. He inspires and educates using the very old art of Gingerbread making.